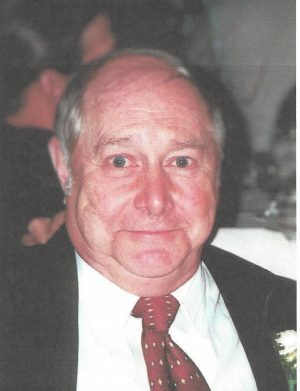 FULTON, NY – Carl L. Johnson, 87, of Fulton, passed away on Sunday October 14, 2018. A Fulton native, he was born to the late John and Bessie Boyce Johnson. Carl proudly served in the U.S. Army. He began his working life as a sports reporter for the Palladium Times and then served as the manager of Lakeview Lanes, Fulton Polish Home and the Fulton VFW. A sports enthusiast, he enjoyed golfing, was a lifelong fan of SU and was inducted into the Fulton Bowling Hall of Fame in 1989. In addition to his parents, Carl was predeceased by his wife of 51 years, Goldie, in 2012; siblings, John Jr., Wade and Mary McGinley; step-daughter, Patricia Frataccia; and great-grandson, Vito Terzulli. Carl will be greatly missed by his brothers, Donald and Richard; step-daughters, Linda Engle and Joan Miller; grandchildren, Lynn Engle, Rob Engle, Rick Engle, Mike Engle, Tim (Marie) Miller, Bill Miller, Wendy (Chris) Sachel, Amy (Jeremy) Redman, Lori Frataccia and Carin (Michael) Chrisman; several great-grandchildren; and great-great-grandchildren. Calling hours will be held 2-4 p.m. Sunday, October 21, at Foster Funeral Home, 910 Fay St., Fulton. A funeral service will be 10 a.m. Monday, October 22, at the funeral home with burial to follow at Mount Adnah Cemetery, Fulton. In lieu of flowers, donations in Carl’s memory are encouraged to the Wounded Warriors Project, P.O. Box 758517, Topeka, Kans. 66675. Sorry to hear of Carl’s passing.I remember him at Lakeview Lanes.He left behind some great memories!